Good morning, happy Thursday! Thanks for stopping by to visit me here at Ink a Doodle Creations. Today over at Stylin' Stampin' INKspiration, we are having our October BLOG HOP and we are sharing all things "Pumpkins"!!! I don't know about you, but I love everything pumpkin related, edible or not!...buttttt I do prefer edible!! As you hop along, please be sure to comment and show some love on every blog! We are always excited to hear from our followers! 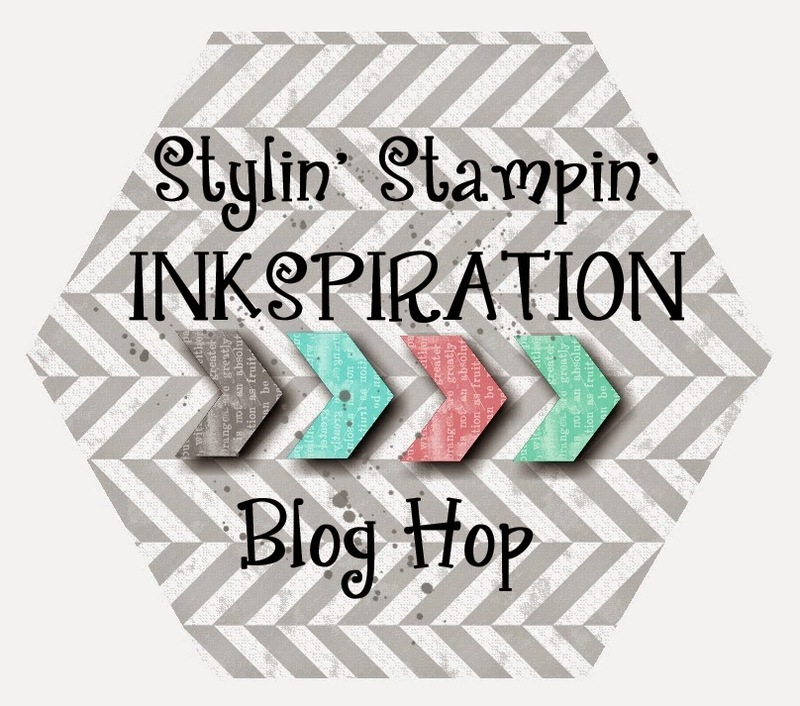 You should have just left stop number #1 on the Stylin' Stampin' INKspiration Blog Hop -Jennifer at Happy 2 Scrap 4 Life . If so, you are in the right spot. If a link doesn't work or you get off track, you will find the full blog hop lineup below. So my special pumpkin project is this little basket that I traced from a template and decorated to turn into a pumpkin complete with a stem and leaves. This little basket is cute and petite, but will hold a lovely sized treat! This cute little pumpkin basket is filled with caramel candy corn. Perfect little treat! The topper is three leaves from the Autumn Accents big shot die. I embossed them using the wood grain folder. The stem is a rolled up piece of burlap ribbon. I tied on a wooden accent leaf with baked brown sugar thick twine for the bow and its what also ties it onto the treat bag. I hope you have enjoyed my cute little pumpkin basket. Head on over to stop #3 Diana at Stampin' Fun with Diana. I just know you are gonna love what she created! Cynthia at Ink-A-Doodle Creations --------->You are HERE! loved the basket and how you made the top of the pumpkin with the ribbon...can you share the directions for the basket? SUPER CUTE pumpkin! I LOVE your pumpkin and the leaves! It's SO ADORABLE!!! So Super Cute!!!! Thanks for sharing, Cynthia!